Oregon’s Rocky Shores: Your input is needed! Oregon’s rocky shoreline is a defining feature of our coast providing not only spectacular vistas and scenic opportunities, but also providing ecologically significant habitat for a broad diversity of plants and animals. About 41% of Oregon’s land and sea boundary is comprised of tidepools, cliffs, rocks and submerged reefs supporting an ecologically rich and diverse environment and attracting millions of visitors each year. 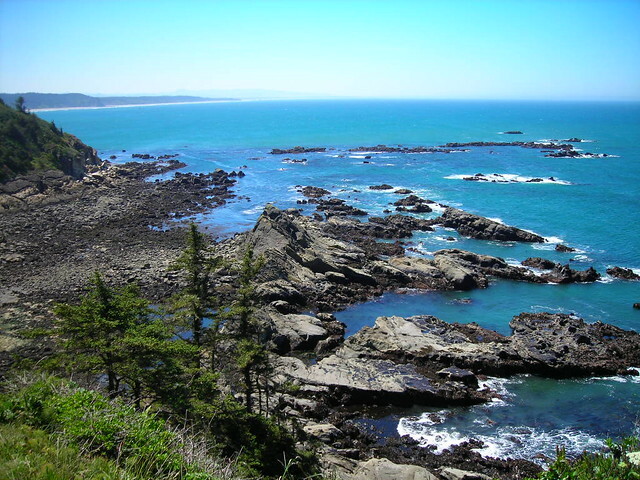 Given the significant ecological, economic, cultural and social values of these special coastal areas, Oregon has developed a management strategy within Oregon’s Territorial Sea Plan which includes policies and objectives, scientific data on resources and uses, and applies special designations to specific sites. You may know many of these special designations as marine gardens, research reserves and habitat refuges – learn about them here! This year, Oregon will be updating the Rocky Shores chapter of the Territorial Sea Plan and we need your help – more on this process here.